… Well, some film failures and a small favorable film finish. I’m a sucker for old cameras. I recently came across two that I ended up buying. This first one is a Soviet “Leica” clone I found in an antique store. I’d heard of them before, but never held one. It seemed to work, and since I’m a sucker – I bought it. I got it home, put in a roll of film and tried to take a few photos. The shutter is inconsistent and started running very slowly. First failure . If you’re interested, there’s more info about the Zorki 6 at the Camera-wiki article at this link. I ran across this next one at a different antique shop. It’s from Germany in the mid 1950s, and came with a clean Zeiss Sonar 50mm f/1.5 lens. I like the shutter speed range from 1 second to 1/1250 second (including T and B). The built-in selenium light meter still works too and no batteries are required. I’m always a bit leery of messing with these old cameras in the store. So I didn’t actually open it up or try to do too much investigation while there. It also seemed to be in pretty good shape and I went ahead and bought this one too. Yes I’m a sucker. I was able to find a manual and much more info about it online. You can read the Camerapedia article at this link. The first problem I ran into was a missing take up spool. So I tried to use a spool from a 35mm film canister, but the film wouldn’t reliably advance. Second failure . More research turned up many used Zeiss Contax take up spools for sale, and I bought one from Ebay. Several days later I loaded up yet another roll of film and started clicking away again. This time the film advance worked. I finished the roll and anxiously shifted to Cinderella photography mode (see below*). And yeah! Some of the frames were good. But many had weird light leaks. I inspected the shutter curtains carefully and saw a gap between them on one side. When the film is wound, the gap moves across the frame and if the lens cap is off, it partially exposes and ruins the film. Third failure . Here are three frames from the camera, along with comparison digital images I made at the same time. I think the camera works pretty well for 60 years old! MK in the back yard (Film is on the left, click for larger versions) – I really like the way the Zeiss Sonar 50mm f/1.5 lens renders both the background and subject. 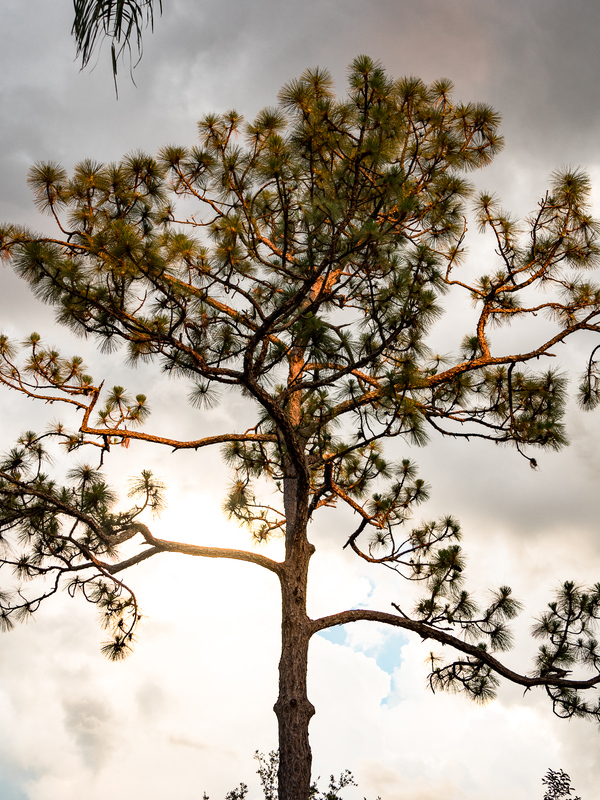 A Pine tree at sunset – (Film is on the left, click for larger versions) – The color rendering is different, I think digital might win this one. Different film would give different results. 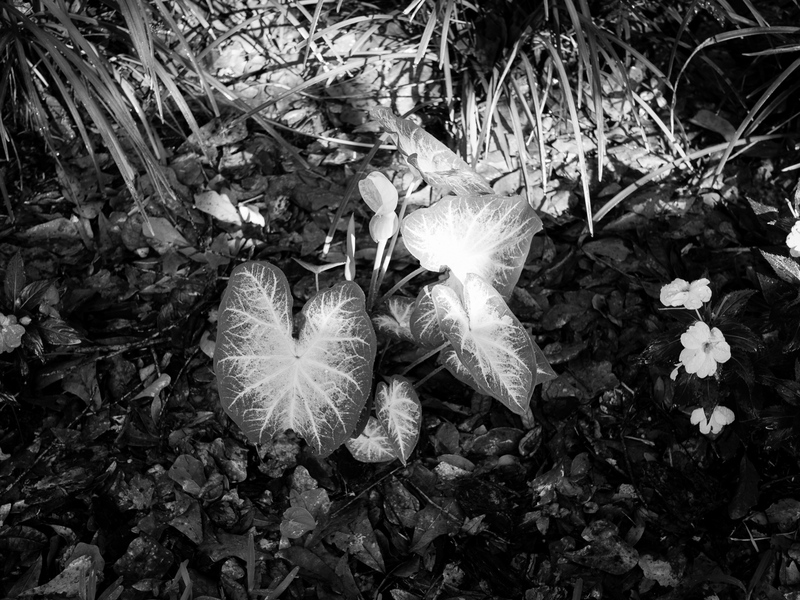 In the garden (Film is on the top, click for larger versions) – The Caladium leaves were in the sun and the B&W film seems to have handled the highlights better. The subject isolation in the film version is better here too. So, can I draw any interesting conclusions from this exercise? Buyer beware – 50 and 60-year-old mechanical devices may not work like new. There are no new parts for most old cameras and few people know how to work on them. Unless you’re willing to go to a lot of trouble / cost, they are what they are when you get them. You can buy a film camera with a warranty (KEH.com does this). It would be less frustrating. Film holds up pretty well (at least at web resolutions). I scanned these frames in with a desktop scanner and I could get better quality (at greater cost) with a professional drum scanner. Anyway, I think current digital cameras beat film hands down for convenience and quality. The “film” look can be pretty nice. I think the film portrait of MK came out better than the digital version. This is mostly due to the Sonar lens and 35mm film size. Film cameras can be frustrating, but they are fun to play around with. 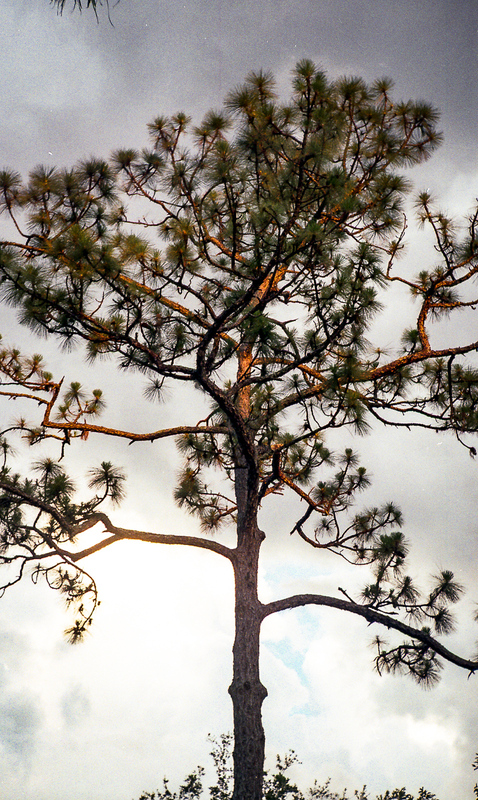 And film and old lenses definitely render scenes differently than digital cameras. For me, film is definitely a hobby as opposed to something I would use all the time for my photography. But film is enjoyable to play with. This Contax is usable if I’m careful and I might take it out and load it up from time to time. It reminds me of the rangefinder that my father gave me as my first camera. *Cinderella photography: “Someday your prints will come”. I first posted about this back in January of 2012. Surprisingly, it’s become one of my most popular articles and “Rectaflex” is now a common search string leading to my website. Since then, I’ve learned a bit more about the camera and so I thought I’d add this info to bring anyone interested up to date. Early 1950s, Italian Rectaflex film SLR kit. This is a multi-frame focus bracket, stacked in Photoshop. I think the collecting market has calmed down a bit since then, and the copy I have isn’t in working order so I don’t think it’s worth all that much. Still – it was an exciting email! I wish I could’ve asked Lynn’s Grandfather about it – I’d like to know his story behind the camera. Andrew said that a lot of his information came from the book Rectaflex The Magic Reflex, by Marco Anonetto. I bought a copy (included in the photo above) and it’s a wonderful resource if you want to find out more. It seems to be out of print now, but if you search the web, you can find copies. I got another email recently from Bosse, who lives in Olso, Norway. He’s very knowledgable about reflex cameras including the Rectaflex and he’s posted a huge amount of info on his website at http://www.pentax-slr.com/108413508. Boss confirmed that mine was manufactured for USA sale, probably around 1950. Although I still can’t find out much about the 10cm f/2.8 Meyer lens, there’s more info on the web now about Rectaflex than there was in early 2012. If you search, you’ll get many hits for your reading pleasure. So that’s my post for this week. By the way – have a wonderful holiday season! Just a short entry to let you know that I’m working behind the scenes to re-organize Categories and Tags used on the blog. Since I started writing “Central Florida Photo Ops” in May of 2007 they’ve grown a bit too haphazardly, and now it’s time for me to get organized and efficient. So I’m restructuring the Categories to serve as a Table of Contents. The main ones are location-based so that a visitor can quickly see all the entries about a given place. You can reach the Categories from the pull down widget on the right. The tags will function like the index in a book. For instance, when I’m done, you’ll be able to click on “Bird” in the tag cloud on the right and see a listing of all posts that mention various kinds of birds. I’ve already started working on this, although it’ll take me a while to go through all 236 published posts and update / correct each one. But as I work on it, it’ll gradually improve and when I’m finished it’ll be better than it was. As always, comments and suggestions are welcome. And just so we don’t have a blog entry without a photo, here’s a couple of images of another camera acquisition. It’s a somewhat well used, Leica IIIc 35mm camera made in the late 1940s. I need to clean it up a bit, but I’ve already run some film through it and it works pretty well. You can see other photos of collectible cameras in this set on Flickr. You don’t see Italian cameras and especially Italian Single Lens Reflex cameras very often. We inherited this Rectaflex 35mm SLR film camera from Lynn’s Grandfather. Camerapedia has some information on the brand. They were introduced in 1949, and the company went out of business by 1955. It was one of the first SLRs to have a pentaprism. Judging by the serial number, this particular one was probably made in 1953 or 4. It came to us in a leather case with accessories including extra lenses, extension tubes, and a flash unit. Unfortunately, I haven’t been able to run any film through it. The shutter’s inoperative and repairing it would probably be an expensive custom rebuild job. But it looks good sitting on the shelf! I think it’s fascinating to look at these older cameras to see how things worked WBD (way before digital). I was out with Lynn last weekend and she saw an antique store that she wanted to browse through. I went in with her, and we noticed this wooden 8×10 view camera from around 1910. Well … I’ve always wanted one and couldn’t resist. Having some fun with my new toy – a Rochester View Camera, circa 1910. Although it doesn’t have a name plate, because of markings on the film holders I think this one was made by the Rochester Camera Company. I’m not entirely sure what model it is although it strongly resembles this one. It did come with a tripod, case, and several backs including the ground glass and film holders. 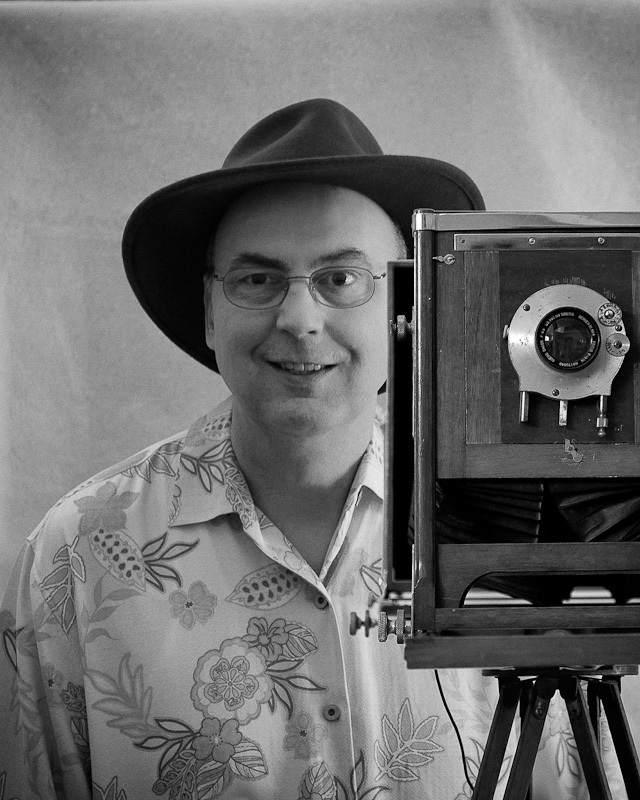 The Goerz Dacor f/6.8 Series III No. 4 lens appears in Rochester catalogs from the time and so is probably original with this camera. The lens is clear and the shutter seems to work fine too, although the rubber pneumatic shutter release has hardened over the years. All in all, the whole kit looks to be in very good shape given its age, and I might experiment a bit more with it. Looking it over, it’s hard to imagine carting something like this all over and even climbing mountains to make photographs with it. It’s huge, heavy and very primitive compared to what we’re used to today. And once you exposed the image you still had to deal with developing and printing it. Given all this, it’s amazing how good the results are from back then. Or is it maybe that only the best photographs survived all this time? 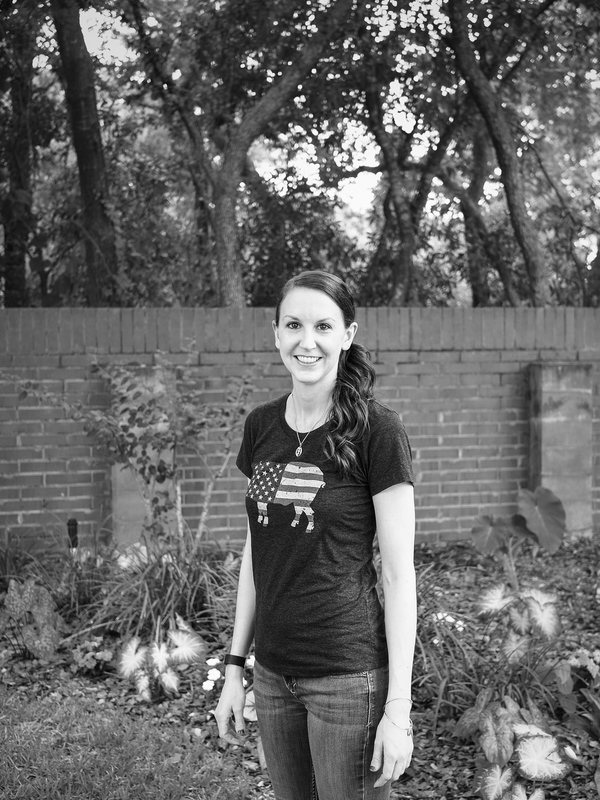 Thanks for stopping by and reading my blog – now go make some photos! Going retro – or a recent experience with severe "film deja vu"
A little bit of background. I’ve been seriously interested in photography for a long time. I owned several film SLRs before I switched to a digital camera at Christmas time in 2000. It took me a while to change over, since I wasn’t convinced that digital quality matched film. Once I did switch, I haven’t looked back (until now), and I’ve been happily shooting digital ever since. When I used film, I always wanted a pro level Nikon camera and could never afford it. This started with my first SLR, which was a Yashica entry level model (I don’t remember which one). The best film camera I ever had was my last one, a Nikon 6006. I bought this sometime in the 1980s and it was a great camera, but it wasn’t a “pro” model. So recently, I was browsing eBay and ran across a listing for a Nikon F4. This tank of a camera was introduced in 1988 and was Nikon’s top of the line film camera until maybe 1996 when the F5 was introduced. To make a long story short, I couldn’t resist. This particular one is an F4S and is in great shape for a camera this old. It comes with an MB-21 auto-winder: can you imagine ripping through almost 6 frames of film a second with this puppy? A whole role of 36 gone in 6 seconds! Another feature that’s really nice is that this one can meter / focus with all Nikon lenses, including the newer G series (although you can’t control the aperture directly). For more information on the camera, you can look at the Nikonians website article on the F4 or visit Ken Rockwell’s site, where he talks about it. Also, a Google search will reveal several places on the web where you can download a PDF file of the camera manual. When the camera arrived, I went to my local drug store to buy some film. To my surprise, they carried Kodak Tri-x B&W ISO 400 film! This is the first film I ever used in my rangefinder and SLR cameras and I used to load my own 35mm photo canisters from 50ft. rolls of film and do all of my own development. So … of course I bought a roll to run through my “new” camera. 24 exposures later, I brought it back to get developed. “Do you develop Tri-X black and white film?” I asked. [Photo clerk looking at film canister] “Of course we do. Do you need it back in an hour?” “No, I said” [Thinking to myself – ‘this is amazing’], “I’ll come back later tonight to pick it up.” So I leave and on my way home, I get a call from the clerk: “Uh, sir, we can’t develop this film.” Apparently they can develop B&W film that’s designed for color print film chemistry, but not good old Tri-X. Anyway, my local camera store (Colonial Photo and Hobby) does develop Tri-X and can also scan it to CD for you as part of the process. I also ran some color print film through the camera, and ended up shooting a total of three rolls. The camera works pretty well. The focus and exposure seem good. So what else did my tests reveal? How was the experience? What impressions did the Nikon F4S make? Did I finally fulfill my desire for a pro film camera? Will I give up digital and go back to film? First of all, the controls were very familiar, so I didn’t have any problem using the camera. The locks were annoying to me – I’m not used to having to unlock the on/off switch. One thing that using the F4 emphasized is that film cameras are simpler to operate than modern digital cameras. Most of this is because on a digital camera, you not only have to control the camera, you also have to control / adjust the sensor response. Loading your film into a film camera determines the white balance, ISO, color profile, etc. for you. Second, this is the heaviest camera I’ve ever used. An F4S weighs 45 oz. vs 37 oz. for a D700 or 25 oz. for a D90. That’s a big difference. Maybe I’m glad I didn’t have to carry this around all the time. 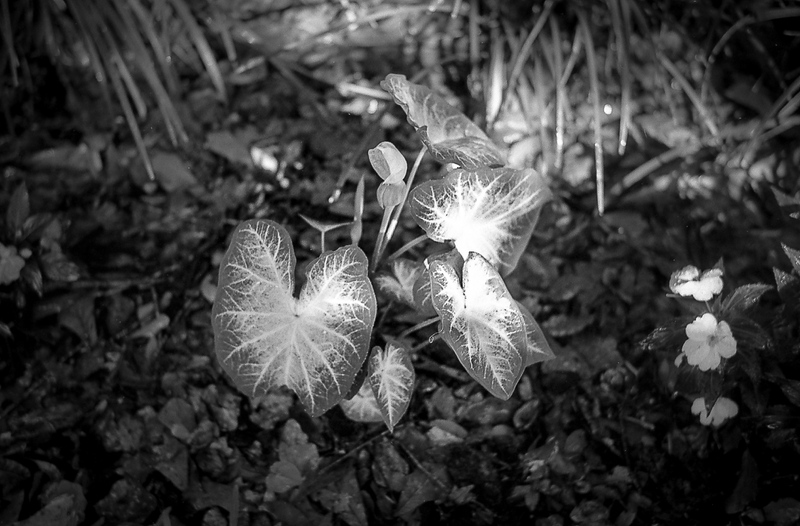 Third, I shot three different kinds of ISO 400 film: Tri-X, Ultra Max, and Black and White (CN 400). Grain is apparent in all of the shots although much less so in the CN 400. In fact, the grain is much more apparent than noise in either a D-90 or D-700 shot at ISO 400. Fourth, having 24 or 36 exposures to work with instead of hundreds is quite different too. There’s much less experimentation and more ‘get it right the first time’. Even though I was only testing this camera and not on a serious shoot, I still found myself conserving film instead of shooting with abandon. Fifth: Chimping is really handy! With a film camera, you can’t tell if you got the shot until much later. There’s a lot more “trust the camera” and “trust your skills” involved. I remember a trip to Germany in the early ’80s with many rolls of slide film and its narrow exposure range. I felt a lot of anxiety then until I got the processed slides back. So, am I going to abandon my digital tools and revert to the good old days of Film? Absolutely not. It was fun to play with the camera and it brought back a lot of memories. But we’ve come a long way and the F4S is going on my shelf to look at. I won’t be looking through it too often. You can click on any of the photos above to view them on Flickr. You can see the rest of my test shots here.